SV CREW CAB 4X4 V6 AUTOMATIC! BED LINER, TOW, FULLY LOADED! NEW REDUCED PRICE! 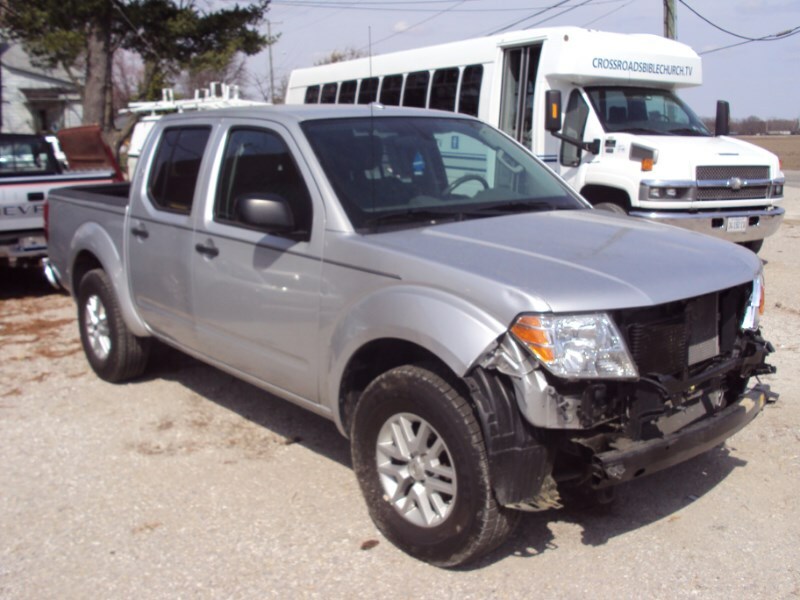 TRUCK WAS DAMAGED ON OUR LOT. OFFERING TO THE PUBLIC FOR A LIMITED TIME! TRUCK NEEDS NEW FRONT BUMPER, GRILL, AND HEADLIGHTS. BEFORE AND AFTER DAMAGE PICS ARE BOTH AVAILABLE. SV CREW CAB 4X4 4.0L V6! BED LINER, TOW PACKAGE, BLUETOOTH, SATELLITE RADIO, ALL POWER, CRUISE, ALLOY WHEELS, ORG. MFG WARRANTY REMAINING, AND MUCH MORE. FOR MORE INFORMATION CALL ROGER WALLACE AT 618-713-4356.